King’s Senior Chapel Choir, Ely Cathedral Boy Choristers, Ely Cathedral Girl Choristers, King’s Voices, King’s Barbers, King’s Chamber Choir. 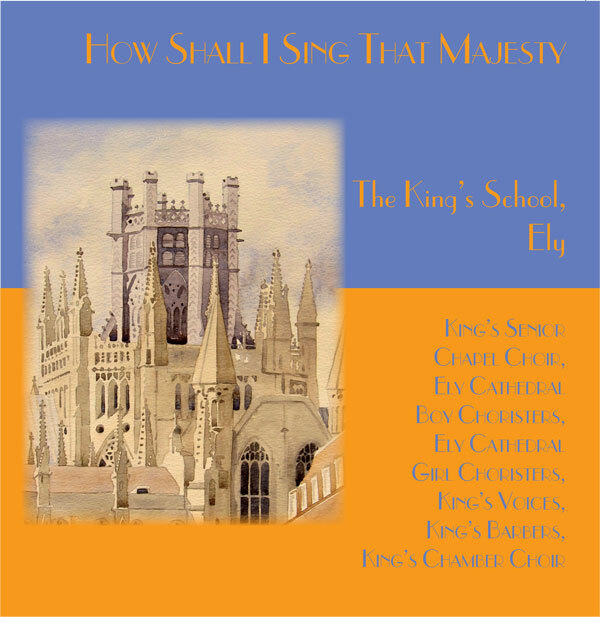 Recorded 1, 8, 15, 22 March, 30 April, 4 and 6 May 2010 in Ely Cathedral. Music is the beating heart of King's. It lifts our regular worship; punctuates the rhythm of the school year and provides the golden thread that binds our community together. Nothing could be more fitting as a celebration of the life of this school than a recording that pulls together the choral singing, in all of its manifestations, that enriches our lives. Our two cathedral choirs offer a predictable showcase, but they represent but the tip of the iceberg. Singing is fundamental to King's Ely; it is a shared joy that all can take pleasure in and from which all benefit on many levels. I am delighted that this CD allows us to share some of that joy a little wider.